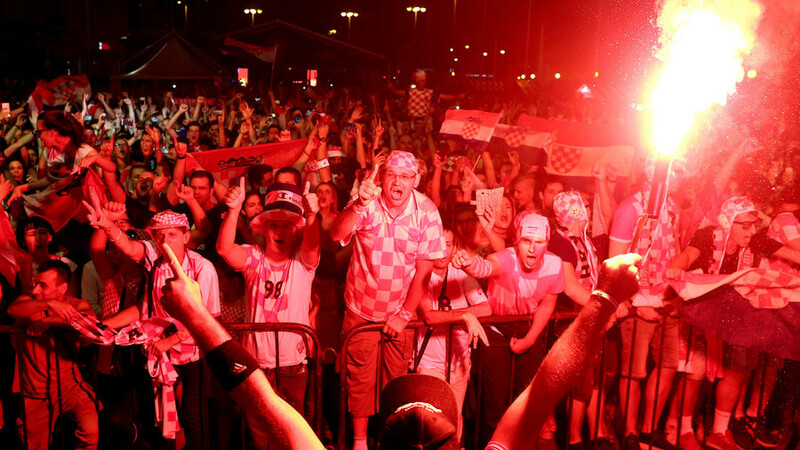 Croatia fans have lit up their home country in a blush of red in celebration of their national team's shock 3-0 World Cup win over Argentina in Nizhny Novgorod on Thursday. Fans from the capital Zagreb to the coastal resort town of Zadar on the Adriatic Sea, set of fireworks dedicated to their heroes on their historic win. Second-half goals from Ante Rebic, Luka Modric and Ivan Rakitic sealed the win and meant Croatia advanced to the knockout stage from Russia 2018's 'group of death'. The victory meant that Lionel Messi's and Argentina's World Cup hopes are now hanging by a thread in Group D.